As the holidays are fast approaching, Pathfinders Armidale Youth Homelessness Support Service (AYHSS) and the Armidale Ex Services Memorial Club are teaming up to bring a bit of Christmas cheer to the Armidale youth in need. The two organisations have launched the Christmas Joy Drive again to collect gifts for 12-year-old through 24-year-old clients of the AYHSS after last year’s successful haul saw about 100 generous donations amassed for the disadvantaged youth of Armidale. 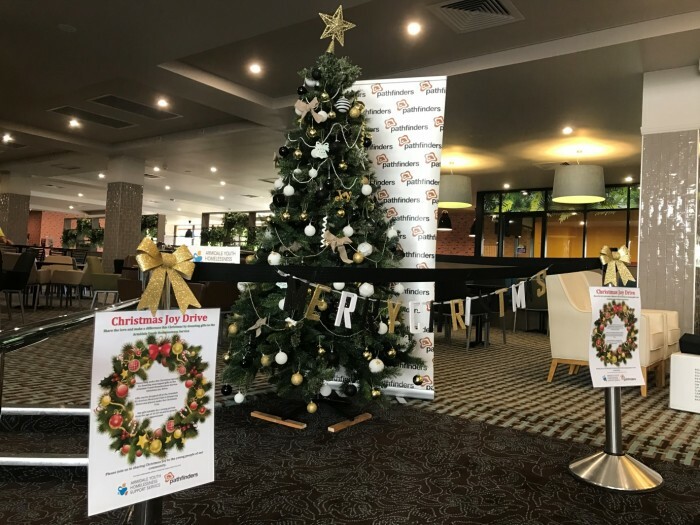 A Christmas tree and holiday decorations have been set up in the foyer of the Armidale Ex Services Club as a donation drop off point, and they’ll be accepting donations through December 21st. Community members are being asked to kindly donate a new or gently used unwrapped gift for the AYHSS team to later wrap and distribute to young clients and residents of the Armidale Youth Refuge. Pathfinders AYHSS support worker, Kirk Darby, said the Christmas Joy Drive means a lot to the young people of Armidale who are doing it rough. “On any given night in Australia, 100,000 Australians are homeless and more than a third of them are teenagers and young adults,” he said. The Armidale Youth Homelessness Support Service incorporates the Armidale Youth Refuge (AYR) and was the first program operated by Pathfinders Ltd. The refuge assists young people who are homeless or at risk of homelessness in the Armidale area and provides client-centred homelessness support including prevention and early intervention, rapid rehousing, crisis and transitional accommodation, brokerage support and intensive support for young people with complex needs.